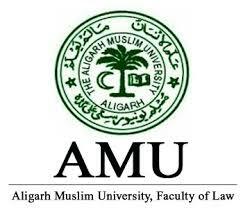 Aligarh Muslim University (AMU) will be conducting its law entrance test, AMU BA LLB on May 28, 2018. The university conducts AMU BA LLB 2018 for admission to the five-year integrated law programme BA LLB. The application forms of AMU BA LLB 2018 is available online only from February 6, 2018. However, candidates can submit the AMU BA LLB application form offline too. Held at the university level, AMU BA LLB 2018 will be conducted in pen and paper mode or offline. Candidates must note that the duration of AMU BA LLB test will be two hours which will start sharp at 10:00 AM. The total seats for which the AMU conducts the entrance exam is 220. Aligarh Muslim University will announce the eligibility criteria of AMU BA LLB 2018 along with the release of the application form in the month of February 2018. The eligibility criteria of AMU Law entrance exam 2018 states the academic qualification and age criteria. Candidates are required to fulfill the eligibility criteria for AMU BA LLB 2018. If at any stage the candidate is found ineligible for AMU BA LLB 2018, his/ her admission will be cancelled right away. So, candidates applying for AMU BA LLB 2018 are advised to check eligibility criteria as mentioned below. Aspirants must have passed 10+2 qualifying examination from any recognised state board/ national board of education. Aspirants need to have scored at least 50% marks in aggregate of all subjects under 10+2 qualifying examination. The age of any aspirant appearing for AMU BA LLB 2018 must not be more than 22 years of age as on July 1 of the year of admission.